On a warm Saturday morning in early September, 20 UVA students and community members walk through the dense woods of the trails on Observatory Hill, leaves crunching on the rocky path under their feet and patches of sunlight shining through the branches overhead. 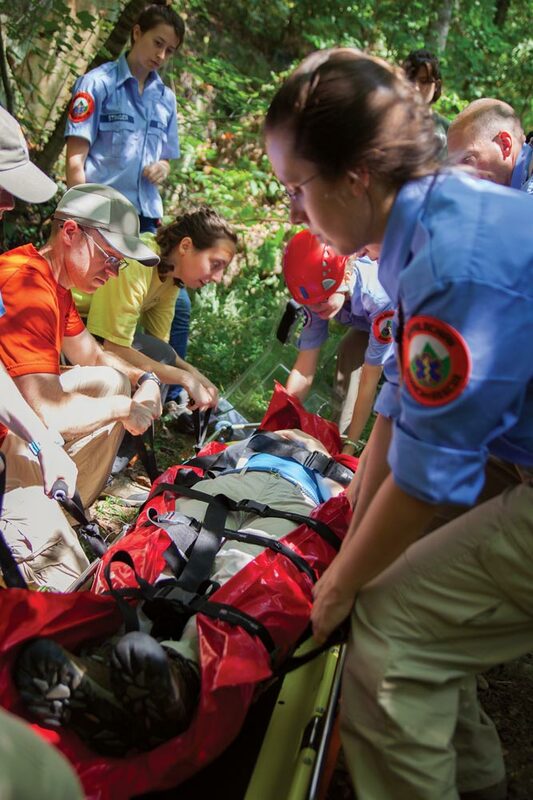 They are on the lookout for Jessica Galuardi (Engr ’16), a student role-playing as a lost and injured subject for this search and rescue training session. Led by veteran group member Natalie Johnson (Col ’15), the trainees walk in threes and scope for clues around them. If members spot anything that might aid in the search, they yell “Stop!” to alert the group and decide if the item is, in fact, a clue. And there are many: pieces of Galuardi’s favorite candy, Starburst; a flannel shirt; her student ID. The trainees perform this seek-and-collect exercise several times over the course of 30 minutes before they happen upon Galuardi atop a large rock next to the path. “We’ve found our missing person!” Johnson says. For some, the search is the inaugural step in their journey to becoming certified members of UVA’s Blue Ridge Mountain Rescue Group, a volunteer organization that is part of the Appalachian Search and Rescue Conference, which specializes in conducting and managing search and rescue operations for lost people and aircraft. About 50 people make up the official roster, including current and former students and community members. About 20 members consistently attend trainings, go out on searches and work to pass the levels of certification. 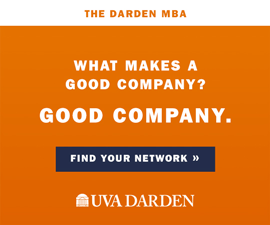 Founded in 1974 at UVA, the group has participated in hundreds of searches, including the fall 2014 search for Hannah Graham. To qualify to aid in a search, members train both outdoors and in the classroom; complete a record of membership and background check; receive basic search and rescue and wilderness training and pass required Federal Emergency Management Agency courses. They also buy a small kit of essential equipment, items like a daypack, headlamp, extra batteries and 48 hours’ worth of food. If members can’t travel, they can join the dispatch team, coordinating volunteers and helping with navigation from home. She and other veteran members teach novices necessary skills, such as land navigation, map reading, basic medical skills and how to “package” an injured person to be carried to safety. And back on the trail, that’s what the experienced group members are doing with Galuardi, as trainees watch. They lay her down on a vacuum splint and check her vital signs. They stabilize her with a helmet, neck brace and splint to keep her spine still. Six rescuers then lift her onto a stretcher, place a protective shield over her face and bind her snugly. Finally, with Guth leading the count, the group lifts the stretcher and heads back down the trail, taking their subject to safety.